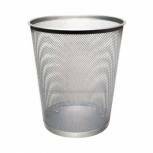 Q-Connect Waste Basket Mesh 18 Litre Silver KF00849 Pack of 1 Mesh waste basket. Large 18 litre capacity round waste bin. Solid base and turned top rim. W355 x D240 x H390mm. Silver. 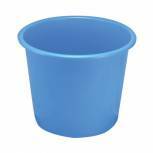 Q-Connect Waste Bin 15 Litre Blue CP025KFBLU Pack of 1 Q-Connect Waste Bin. High quality durable waste bins. Ideal for home or office use. 15 litre capacity. Colour - Blue. 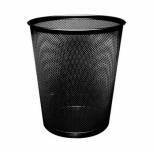 Q-Connect Waste Basket Mesh 18 Litre Black KF00871 Pack of 1 Q-Connect Mesh Waste Basket. 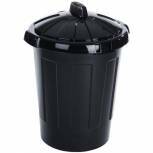 Large 18 litre capacity round waste bin. Solid base and turned top rim. W355 x D240 x H390mm. Black. 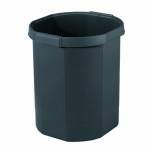 Avery DTR Eco Waste Bin 18 Litre Black DR500BLK Pack of 1 Avery 18-litre Waste Paper Bin. 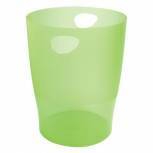 Stylish oval bin will fit neatly against flat surfaces. Removable rim enables a bin liner to be neatly secured. Also features a built-in hand hold for ease of emptying. Colour - Black. 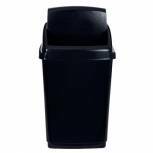 Exacompta Forever Waste Bin Black 435014D Pack of 1 Waste Paper Bin OCTO EcoBlack. Manufactured from recycled fruit juice bottles. 18 litre capacity. Easy to clean interior. Black. 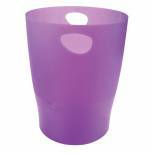 Silver 25 Litre Plastic Swing Bin 379768 Pack of 1 Easy to wipe clean swing bin with glossy plastic finish. Capacity: 25L. H54 x W33.5 x D27mm. Colour: Silver. Non returnable. 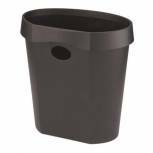 Plastic Dustbin 80 Litre Black 379770 Pack of 1 Heavy duty dustbin. Height 700mm x Diameter 540mm. Ideal for indoor and outdoor use. Lids fit securely. Capacity 80 Litres. Black glossy plastic finish. Non returnable. 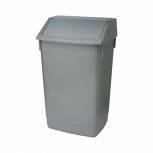 Recycling Container 60 Litre Paper Lid Grey 383013 Pack of 1 Easily identifiable front facing recycling lids with openings. 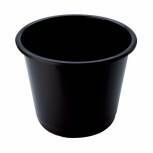 Sturdy container suitable for multiple indoor applications and ideal for centralised collection. 60 litre capacity. H790 x W330 x D480mm. Grey slot. Non returnable. 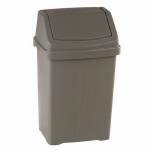 CEP Ellypse Xtra Strong Waste Bin 15 Litre Taupe 1003200201 Pack of 1 CEP Ellypse Xtra Strong Waste Tub 15 Litre Taupe 1003200201. Contrasting matte and gloss finish. Recyclable polypropylene. One flat side. W318 x D251 x H380mm. 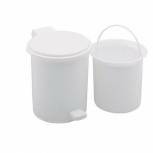 Addis Foot Pedal Vanity Bin 2.9 Litre White 9872 Pack of 1 Neat and compact addition to the bathroom. This pedal bin comes complete with separate liner making disposing of items easier. Colour: White. Dimensions: 205mm X 228mm. Volume: 2.9 Litre. 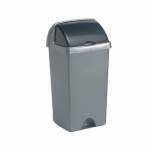 Rexel Choices Waste Bin White 2115620 Pack of 1 This Rexel waste bin features a contrasting textured finish with an easy clean interior for convenience. 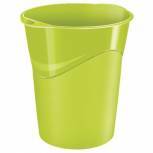 The bin is stackable and has an integrated carry handle for easy emptying. This white waste bin has a 14 litre capacity. 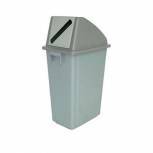 Addis Roll Top Bin 50 Litre Metallic AG813417 Pack of 1 Addis Roll Top Bin - 50 Litre Capacity. Polypropylene. Metallic-effect finish. Roll- top bin ideal for positioning under work surfaces as the lid opens internally. Slotted rim clamps bin liner firmly in place. Smooth plastic and rounded corners. 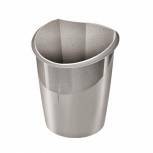 Addis Fliptop Bin 60 Litre Metallic Grey AG813418 Pack of 1 Addis flip top bin with a large 60 litre capacity. Bin liner can be secured under the lid. Metallic grey finish. Bin dimensions W410 x H590 x D330mm. Lid dimensions W420 x H110 x D340mm.